Just last week I was asked if I wanted to join a blog tour for Canadian MG/YA authors. I immediately said, “Yes! I’d love to!” Then I realized I had no idea what that meant. What it means, I’ve since found out, is that Canadian MG/YA authors can join a site called Y-Eh! (that was founded by the fabulous Jill Murray) where we input a short bio and 5-10 questions that we want the other authors to answer, with the suggestion of having your questions somehow tie into some of the themes in your own book. The deal is that if you sign up, you not only leave your questions on your profile, but you also visit all the other authors’ profiles and answer their questions. Then you send the answers to them and they post them on their blog. How fun is that? Of course once I realized what the low-down was I was even more eager to get in on it. Well, I just got my first round of questions answered by Jill Murray herself. And so, without further explanation, let the tour begin! 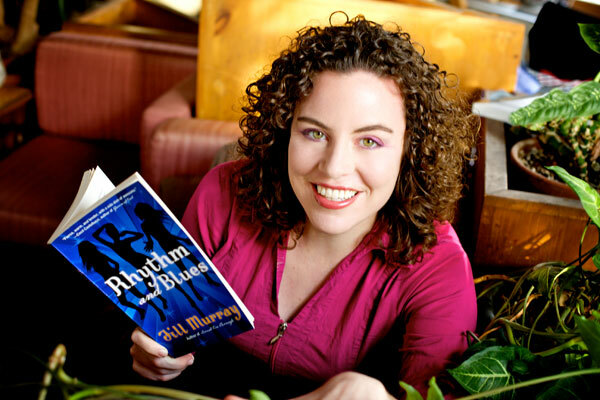 Jill Murray is the author of two YA novels: the critically-acclaimed Break On Through and the brand new Rhythm & Blues both published by Doubleday Canada. In 2010 she created Y-Eh.net, a blog tour for Canadian kid lit authors. Interview Question #1 – In Smudge’s Mark, Smudge’s new-found friend Drofgum sets him up to take the first steps out of the safety of the clearing and into the wide unknown realm of Emogen. What inspired you to take your first steps into the wide unknown realm of writing your very first book? Would you believe, boredom? I’d been out of university for a year and working, I felt like I needed to learn something new. I’d always liked writing, but I’d somehow never done a creative writing class in school. So I took a couple. Interview Question #2 – Gil, Smudge’s best friend, has a stutter that totally frustrates him and gets in the way of efficient communication. What do you do when words don’t come easily to the page? What more often doesn’t come easily to me is plot. Words, I always have tons of. When I’m really not sure what to do with a story, I take superfluous showers and walk my dog a lot. That usually frees up my mind so it can figure things out. Interview Question #3 – To the innocent onlooker it may seem like the life of an author is easy peasy breezy! And like Tessa Tasselbaum we may look like we’re in complete control; like there is nothing that could possibly defy our confidence. Give us a peek inside your author-self for a moment. What is your greatest challenge of being an author? I hate not being in control of my own business, and now that I have a couple of books published, it often feels like I can’t get enough of the basic information I need to know how my books are doing up to the minute, what I can do to help them out, or what I should think about writing next that would make readers really happy. A lot of publishing is guess work, and that drives me completely insane. Interview Question #4 – At the age of 14 Smudge is launched into a journey of discovering who he was born to be. Do you think you were “born to write” and have always known it or is writing something you’ve discovered along your life’s journey? (Or like Smudge’s situation do you think it’s one and the same?) Explain. I think more so I was born to make stuff and question things. Writing and I have always been pretty tight on the “tool of communication” level— I mean, I certainly wasn’t born to talk on the phone. But writing fiction is still a lot of work for me— somewhere on par with lifting heavy things or intense scrubbing. 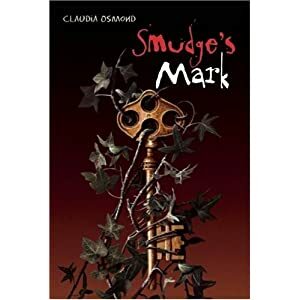 Interview Question #5 – Glowing Stones were instrumental in Smudge’s quest. Do you believe in the concept of having a muse? Explain why or why not. I like the idea of being inspired by a lot of things. I’m not so sure where muses fit into that. I think, actually, were a muse to appear to me, it would be neat if I could trick it into cleaning my bathroom or something. Because you know what? Housework is what I could really use a hand with right now. Or taxes. If I could have a Government Paperwork Muse, that would be absolutely brilliant. So yes, I think I shall start believing in muses. Thank you. Interview Question #6 – Gil especially could have used someone to speak a bit of wisdom into his life. Now there are a few things he needs to confront before he can move forward. What advice would you give your pre-pubbed self? Interview Question #7 – Grampa has a couple favorite little ditties that he likes to repeat to himself. Can you share a favorite quote with us?